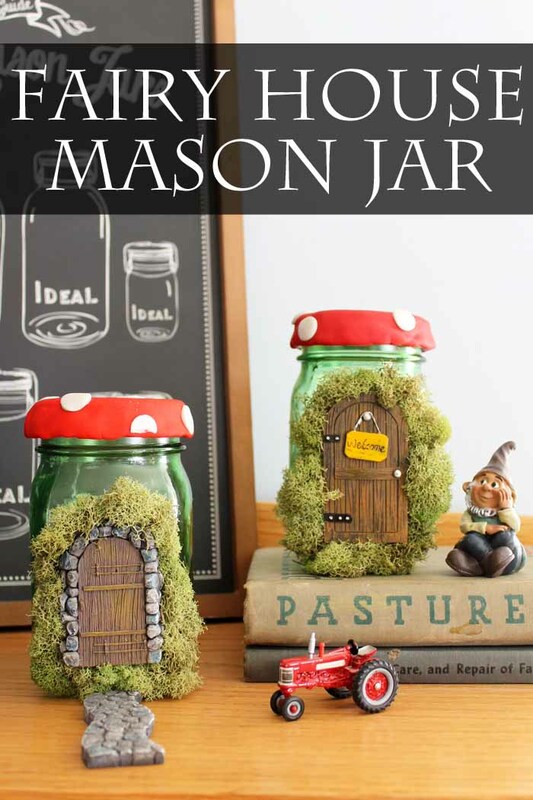 You are here: Home » jar crafts » Fairy House Mason Jar – a fun spring craft idea! Fairy House Mason Jar – a fun spring craft idea! I am kicking off spring mason jar week with this fairy house mason jar. This fun spring craft idea is perfect for your home decor. 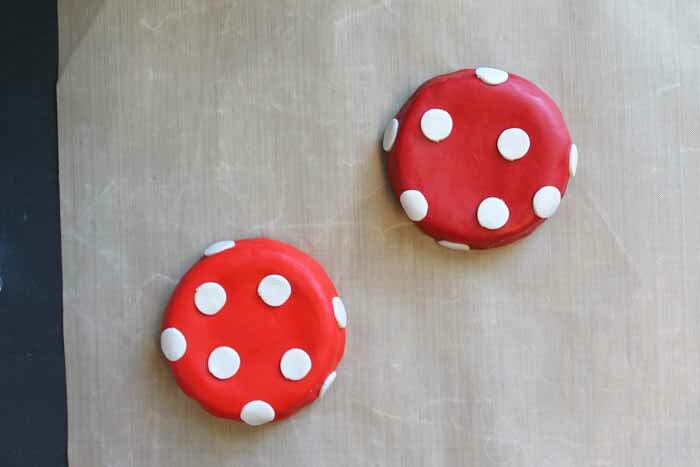 Plus they are so easy to make! Trust me….you can do this! Get a few supplies and make your own version of this fairy house mason jar. 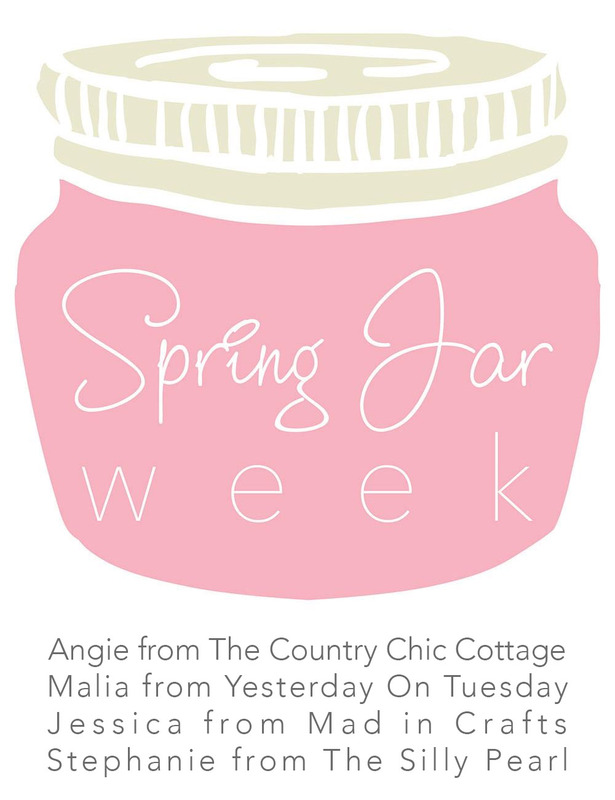 Remember you can see more spring mason jar crafts at the bottom of this post. Please note that links below may be affiliate links which means that you do not pay anymore but a portion of your purchase will go to support this site. 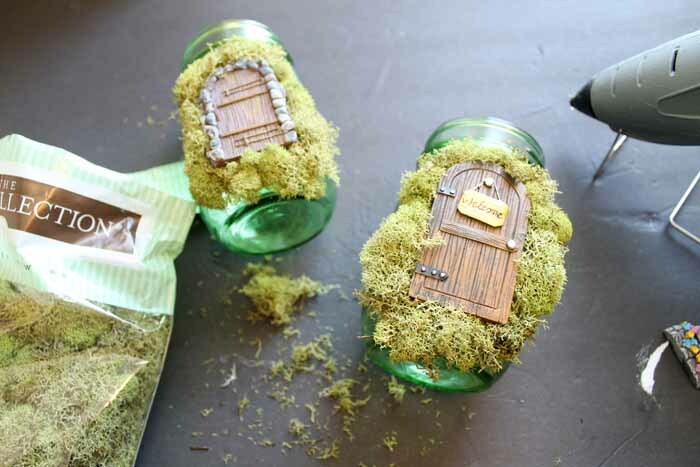 Add moss and fairy door to front of green mason jars with hot glue. I glued the door on first then added moss all the way around. Next we need to cover the mason jar lid. Please note that a red lid is shown but not required. I glued the band to the lid using hot glue. 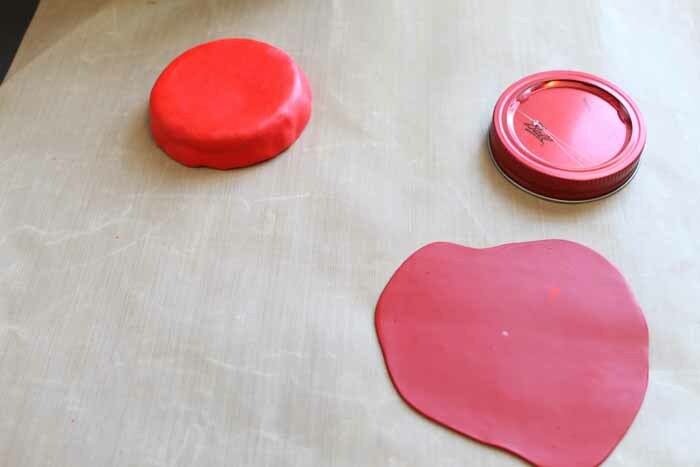 Then roll red clay out flat until it is the size that will cover your lid. 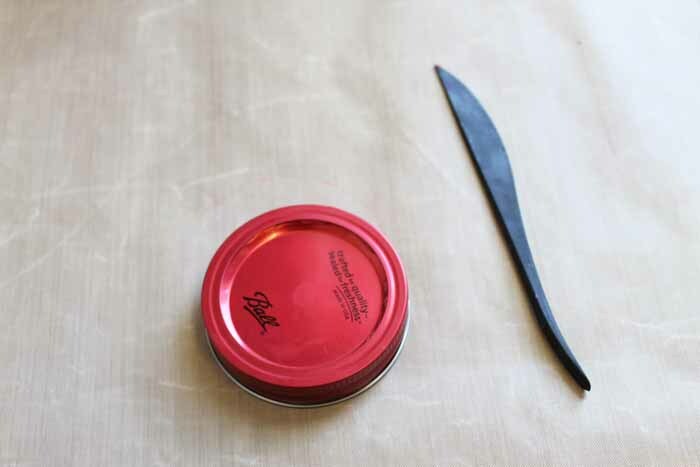 Work it around the lid until the top and sides are entirely covered. Trim away any excess. 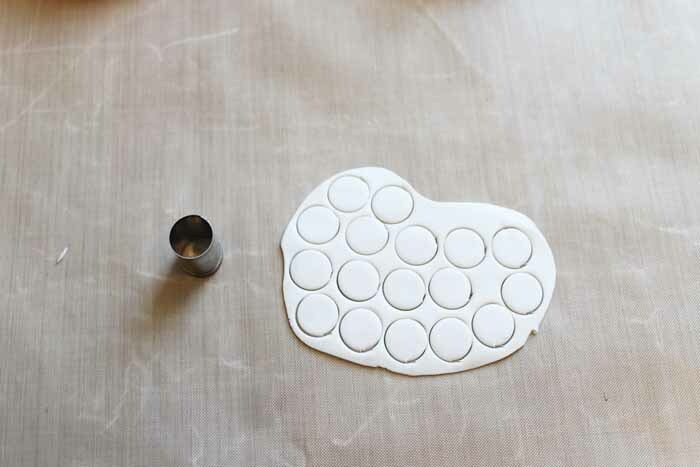 Roll out the white clay until flat and use a circle cutter to cut small circles. Add those circles all over your lid. Bake the clay according to the package directions. I found it best to bake upside down. The lids above are not baked and the ones below are baked. The color does not change at all. 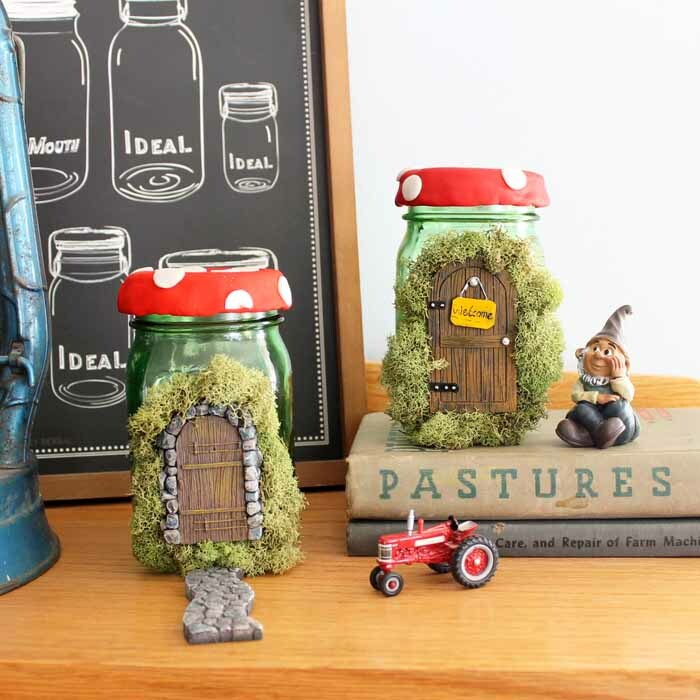 Screw the lids onto the jars and your fairy house mason jar is ready for display around your home. You can also use these as gift jars. Just put your gift inside and give to someone that you love. They would be perfect for Mother’s Day or Teacher Appreciation. Y’all enjoy and get your supplies to make your own version today. Now are you ready for some more spring mason jar crafts? 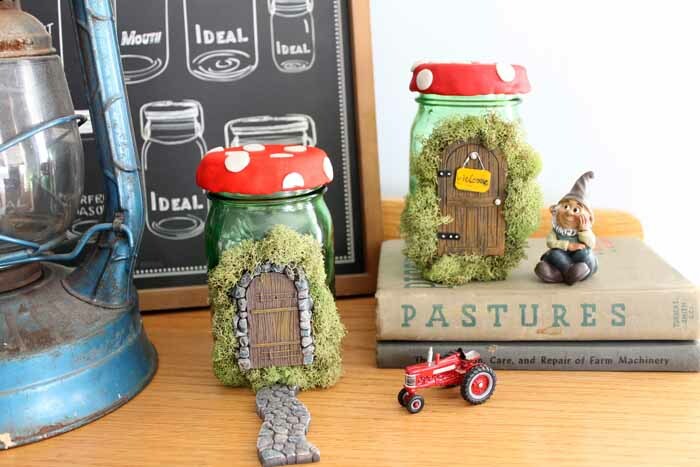 Make one of these spring mason jar crafts or this fairy house mason jar. Either way your spring decor is sure to look great! 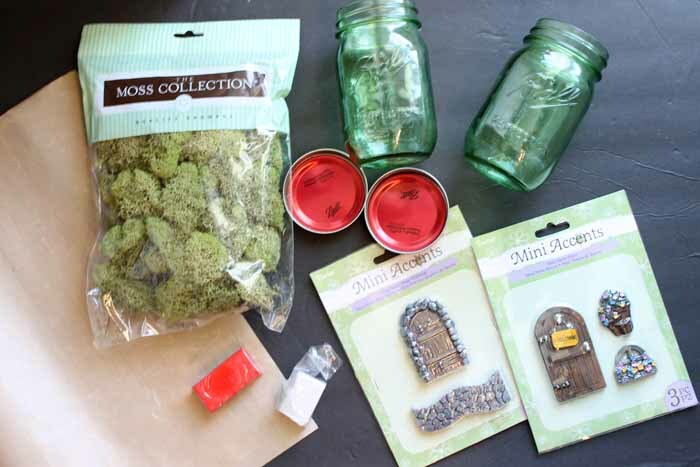 Be sure to take our fun quiz below and find out what kind of mason jar you are as well! previous post: The Ultimate List of Carrot Cake Recipes – over 20! Sooo cute and so creative, Angie! I love the mushroom top! Dude these are the cutest! I love how you put the door on the outside and that lid is adorable! This is so charming. 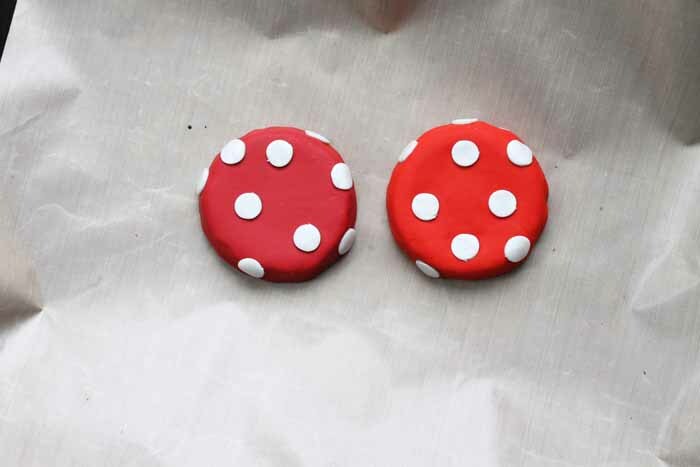 Thanks for linking this to the Craftastic Monday Link Party at Sew Can Do. I’d love to feature this next week – could you add me to your blog roll page so I can? Very cute! We always have tons of mason jars sitting around. This is adorable! It would look so cute on my bookshelves–thanks for the idea! Just wanted to let you know that I featured this on my blog. Thanks for sharing it at the Create Link Inspire party! These are too cute and I know a few little (and not so little) girls that will love making these! These are so adorable! Thanks for sharing at the #InspirationSpotlight Party. Pinned & Shared. Cute craft! I’d love for you to join our link up To Grandmas House We Go. These are just adorable. I called them gnome homes when I saw them featured at Carrie’s Creative Corner series. Going to pin and share with a buddy who just made her own fairy garden. My yard is a shambles…we are putting in a pool but once the dust settles, would love to make some of these to set about in my river rock. Thank you for the inspiration. I Love these. Also it said I’m a Half Gallon Jar. Funny because I was thinking I will use that size.